Patient diagnosed with Atypical fibrohistiocytic tumor of the left frontal scalp. 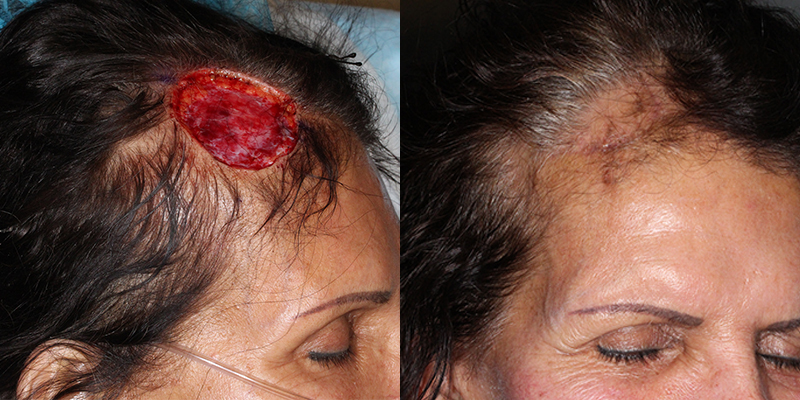 Reconstruction performed by Dr. Simon Madorsky at SCARS Center. 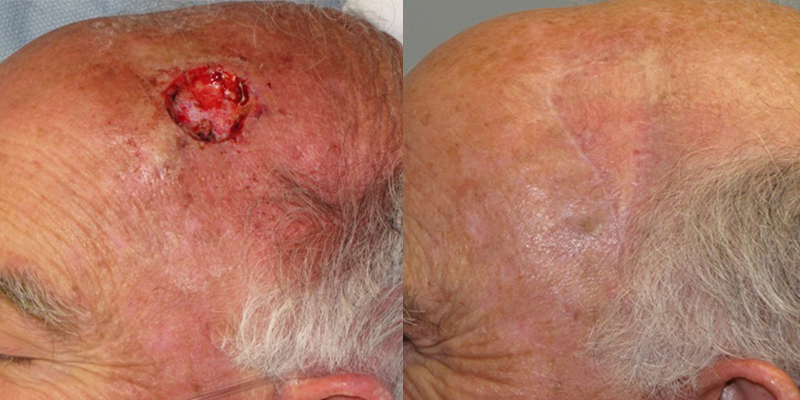 Patient diagnosed with malignant melanoma of midline forehead. Mohs excision performed by primary dermatologist. 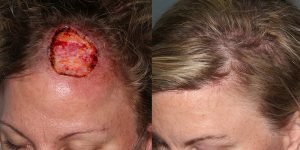 Forehead/scalp reconstruction performed by Dr. Simon Madorsky at SCARS Center. 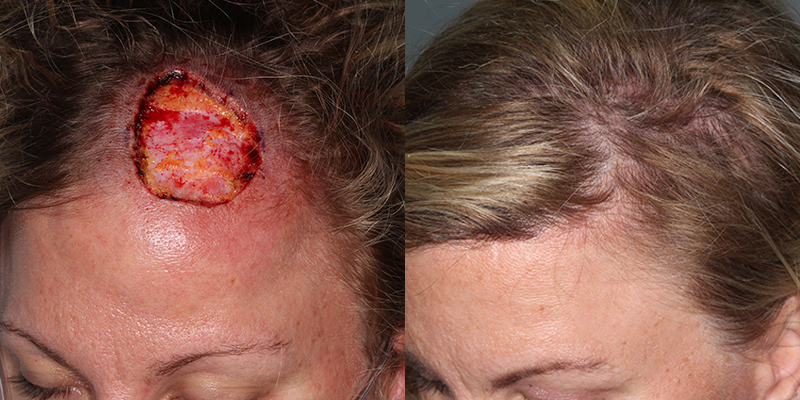 Patient diagnosed with nodular and micronodular Basal Cell Carcinoma of left forehead. 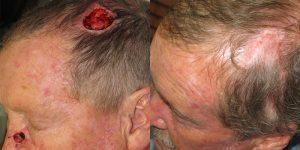 Mohs surgery performed by Dr. Gregory Bartlow. 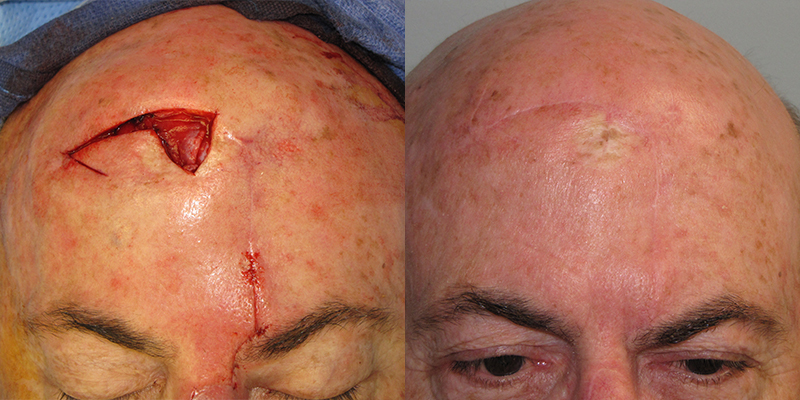 Forehead/scalp reconstruction performed by Dr. Simon Madorsky at SCARS Center. Patient diagnosed with basal cell carcinoma of the right anterior top scalp. 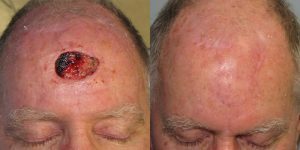 Diagnosis and Mohs excision performed by Dr. Jonathan Baron at SCARS Center. Scalp reconstruction by Dr. Simon Madorsky at SCARS Center.